Working in Germany between the two world wars, John Heartfield (born Helmut Herzfeld, 1891–1968) developed an innovative method of appropriating and reusing photographs to powerful political effect. As a pioneer of modern photomontage, he sliced up mass media photos with his iconic scissors and then reassembled the fragments into compositions that utterly transformed the meaning of the originals. In John Heartfield and the Agitated Image, Andrés Mario Zervigón explores this crucial period in the life and work of a brilliant, radical artist whose desire to disclose the truth obscured by the mainstream press and imperial propaganda made him a de facto prosecutor of Germany’s visual culture. Zervigón charts the evolution of Heartfield’s photomontage from an act of antiwar resistance into a formalized and widely disseminated political art in the Weimar Republic. Appearing on everything from campaign posters to book covers, the photomonteur’s notorious pictures challenged well-worn assumption and correspondingly walked a dangerous tightrope over the political, social, and cultural cauldron that was interwar Germany. Zervigón explains how Heartfield’s engagement with montage arose from a broadly-shared dissatisfaction with photography’s capacity to represent the modern world. The result was likely the most important combination of avant-garde art and politics in the twentieth century. 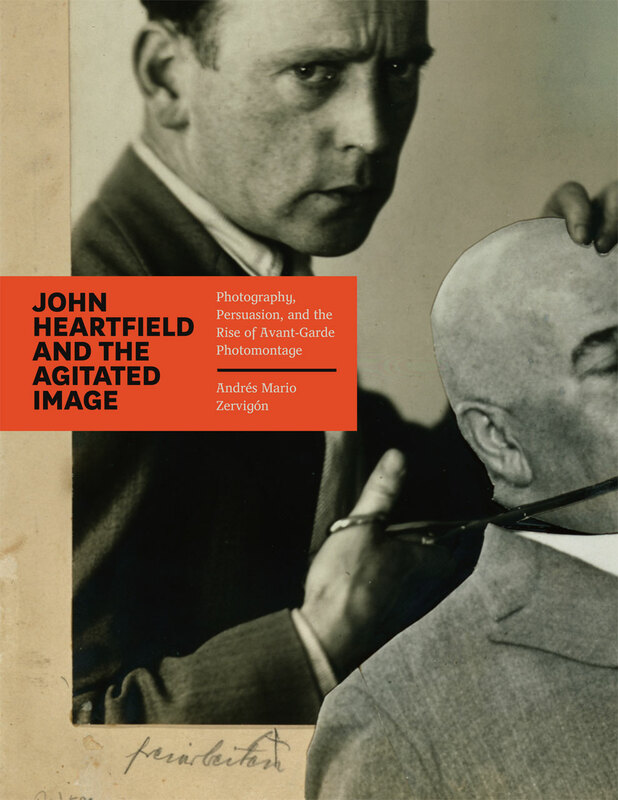 A rare look at Heartfield’s early and middle years as an artist and designer, this book provides a new understanding of photography’s role at this critical juncture in history. “Impeccably researched and grippingly told, Andrés Mario Zervigón’s John Heartfield and the Agitated Image presents a fundamentally new picture of the German photomontage pioneer: as an artist who took his cues from Hollywood starlets just as much as from Marxist theoreticians, and who crafted his images to function as both physical punch and intellectual appeal. Tracing Heartfield’s passage into and beyond Dada with singular care, Zervigón reveals the range of projects and decisions by which he managed to reinvent photography—indeed art itself—during a period of unparalleled historical turbulence."